Ron and Maggie Tear Photography: Snow towards the Tate. More from this magical day in London. 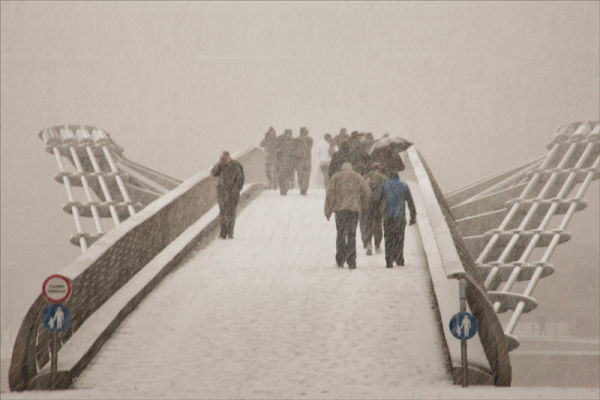 The snow was so heavy you couldn't see the Tate Modern. It's in there somewhere ! !